Wiley X gloves offer excellent performance, fit and protection for one of the most used parts of the body - the hands. The Wiley X APX are a lightweight combat glove, with durable and sensitive synthetic palm and fingers, knuckle reinforcement panel and moisture wicking back of hand and finger gussets. 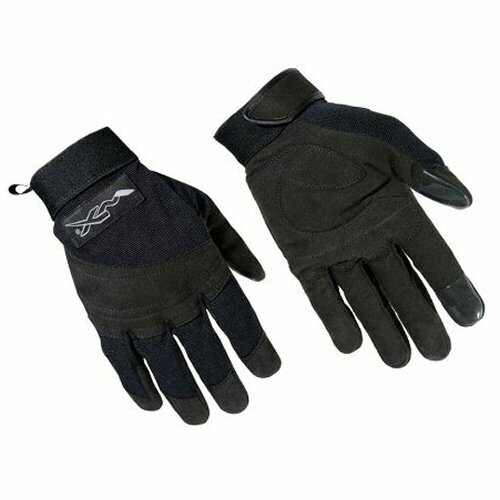 The synthetic leather and fabrics make for a very quiet glove when the hands are in motion. Silicone imprinted forefinger and thumb improve grip and positive feel in these areas to aid trigger control and bolt operation. Finger gussets are ventilated. The Wiley X APX glove is a superior glove at a great value price. Available in black only.